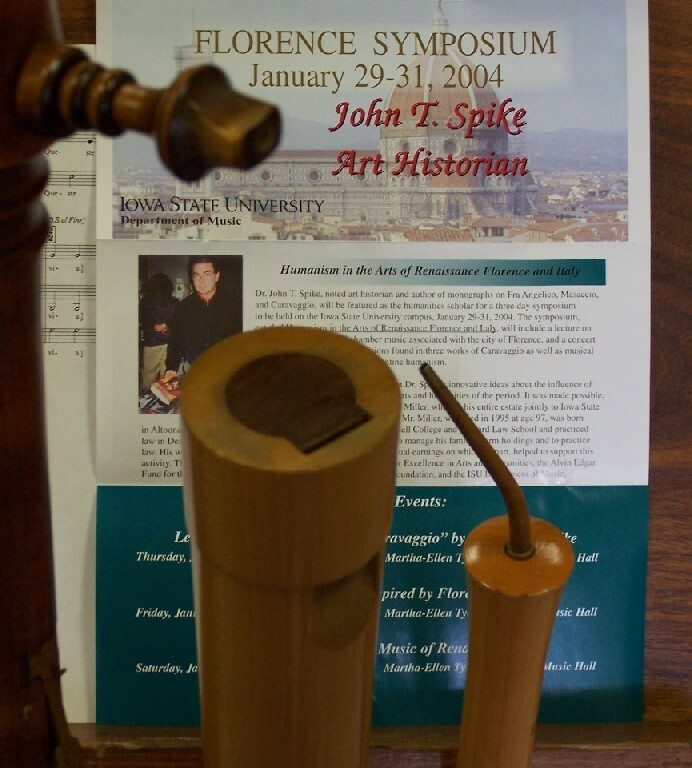 Dr. John T. Spike, noted art historian and author of monographs on Fra Angelico, Masaccio, and Caravaggio, was featured as the humanities scholar for a three day symposium held on the Iowa State University campus, January 29-31, 2004. The symposium, entitled Humanism in the Arts of Renaissance Florence and Italy, included a lecture on Caravaggio, a concert of chamber music associated with the city of Florence, and a concert by Musica Antiqua of compositions found in two works of Caravaggio as well as musical works based on Renaissance Florentine humanism. The symposium was organized to present Dr. Spike's innovative ideas about the influence of Italian Renaissance humanism on the arts and humanities of the period and was sponsored by the Department of Music, Iowa State University. Musica Antiqua's program was entitled Music of Renaissance Italy and included identified scores of the composers Arcadelt and Bauldeweyn found in the Caravaggio's Lute Player and Rest on the Flight from Egypt. Slides of these paintings were projected on a screen, and Dr. Spike introduced each. Music Antiqua then performed the compositions on replicas of instruments found in the paintings. One of the artists featured during the concert was Douglas Kirk, a graduate of Iowa State University who is presently considered one of the world's greatest performers on the lizard (the tenor version of the zink (cornett), the instrument pictured in Caravaggio's The Musicians). Mr. Kirk has recorded for Archiv records with Andrew Parrott, with the Gabrieli Consort. 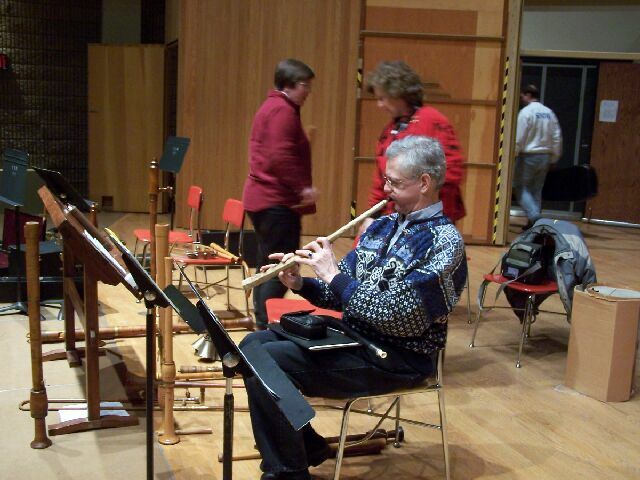 He is also a member of the Boston Shawm and Sackbutt Ensemble. 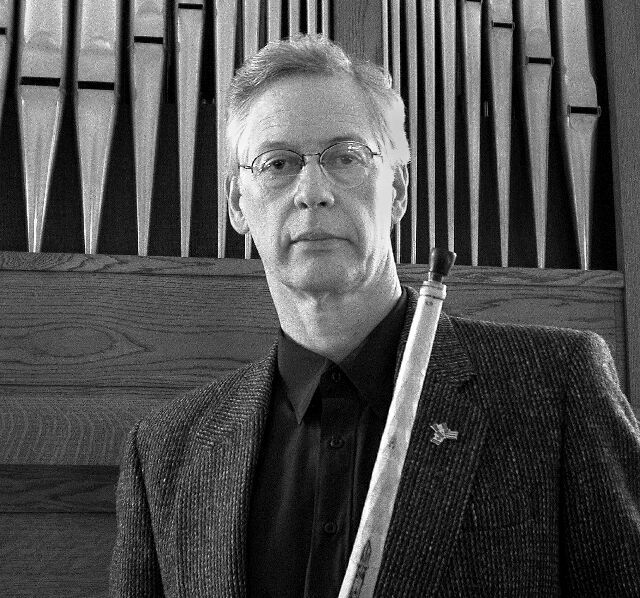 Douglas Kirk studied musicology at The University of Texas at Austin and McGill University, and early music performance practice at the Royal Conservatorium of Music in The Hague, Holland. His doctoral thesis, Churching the Shawms in Renaissance Spain: Lerma, Archivo de San Pedro Ms. Mus. 1 (McGill University, Montréal, 1993), is a study of a very important late sixteenth century manuscript compiled for an ensemble of wind instrumentalists, and establishes not only a critical edition of the musical text of this manuscript but also the daily playing responsibilities of instrumentalists who served Spanish churches throughout the Renaissance and Baroque periods. Dr. Kirk is a well-known cornettist and shawm player, and has concertized widely throughout North America and Europe with such groups as the Studio de Musique Ancienne de Montréal, the Boston Camerata, the Boston Shawm and Sackbut Ensemble, the Taverner Consort of London, Les Sonneurs (Montréal), the Toronto Consort, Tafelmusik, and the Ensemble Claude Gervaise. He can be heard on numerous recordings of seventeenth century Venetian, Spanish, and German music with such ensembles as the Taverner Consort of London directed by Andrew Parrott, the Gabrieli Consort of London directed by Paul McCreesh, the Boston Camerata under Joel Cohen, and the Studio de Musique Ancienne de Montréal directed by Christopher Jackson. He directs large-scale early music performance projects at McGill University where he also teaches cornetto and other early wind instruments, and lectures on medieval and Renaissance music at Concordia University.